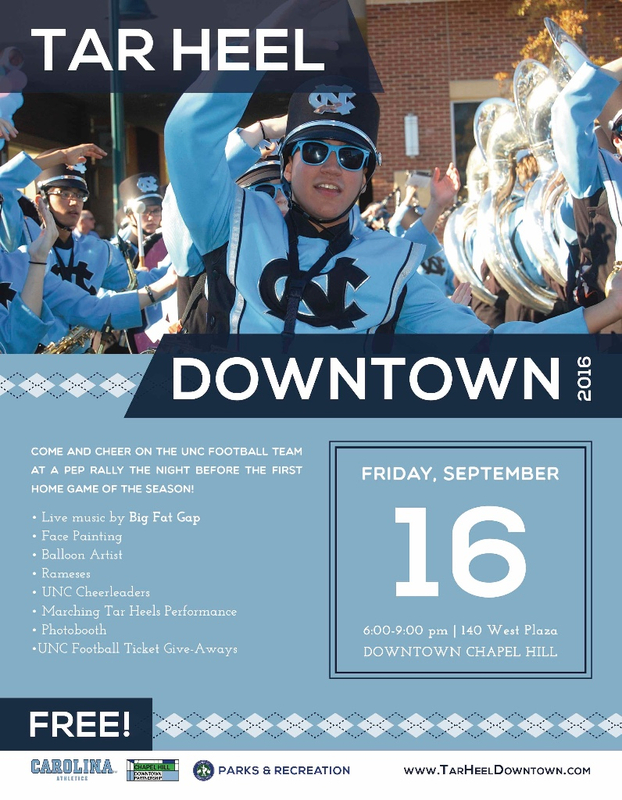 As a downtown business or resident located near 140 West we want to make sure you are aware of Tar Heel Downtown happening in September. 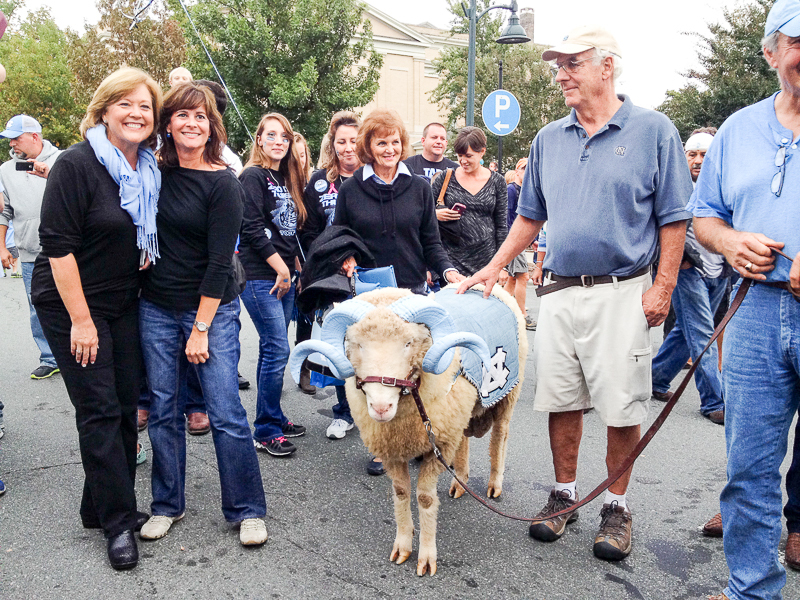 Now in its 4th year, Tar Heel Downtown is pep rally where students, alumni and residents gather Downtown to celebrate UNC Football. 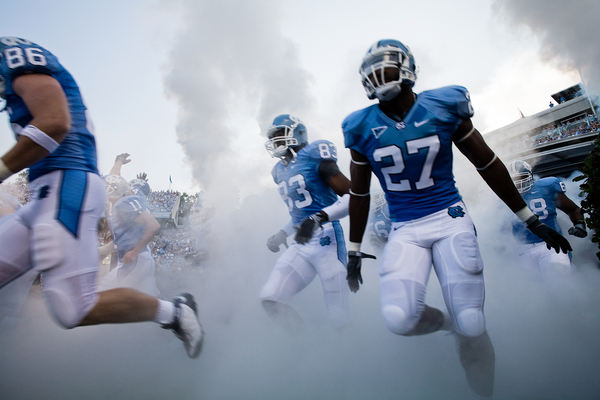 This year's event will be held Friday, September 16 - 6:00-9:00pm the night before the home opening football game against James Madison University. 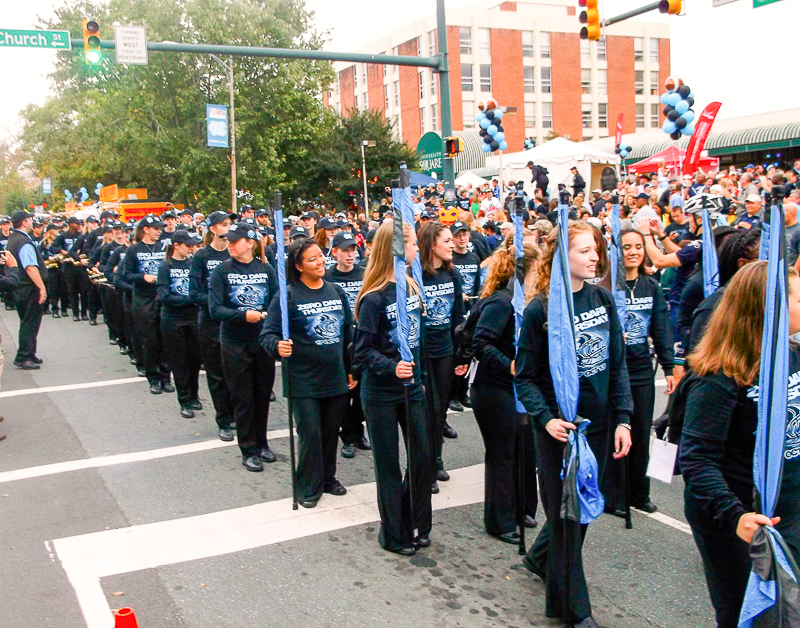 The celebration will center around 140 West Plaza on the corner of Church and West Franklin St.
Load-in will begin at noon on the 16th.